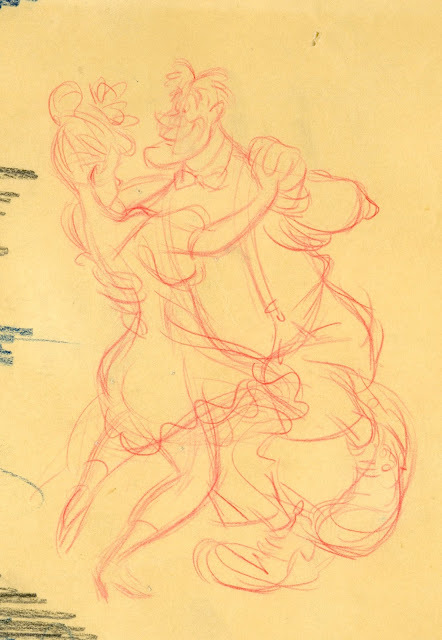 Here is another rough animation drawing by Milt Kahl that was discarded. 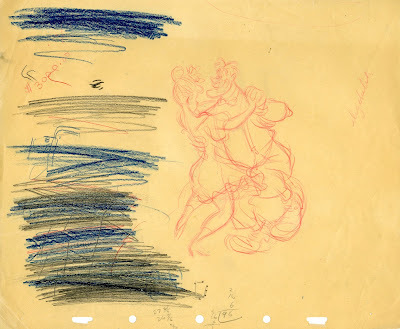 This sheet comes from the estate of Disney animator Ken O'Brian. It shows the two lead characters from the short The Martins and the Coys, which was part of the 1946 feature Make Mine Music. Grace Martin and Henry Coy are dancing energetically on their wedding night. 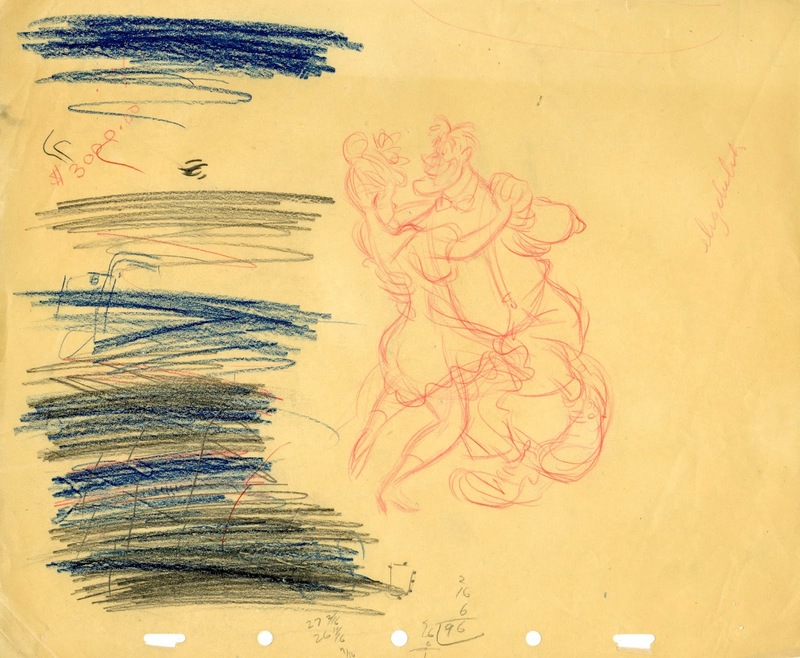 For fast action like this, the animator most likely did all of the drawings (on ones) to ensure fluidity and readability of motion. This is a young Milt Kahl, who knew how to combine his knowledge of human anatomy with cartoony drawing and motion. This single frame from the dance is a JOY to behold! I would say that the overall character styling is still influenced by Fred Moore. But Milt takes it a step further, because he knew so much about the human figure, composition and action analysis. The full sheet is pictured below. As you can see, once discarded, Milt used it as a surface to sharpen his pencil. There are notes, calculations ($ 3000 ?) and what looks like telephone doodles. I am glad that Ken O'Brian saved this gem for all of us to enjoy more than a half century later! !